in 1969, Sawada (Satoshi Tsumabuki) is filled with idealism that permeated that era and starts working as a gonzo journalist for a weekly magazine. For the movie's release in South Korea, a "barrier free" version will also be released with Han Hyo-Joo, Kim Dong-Wook, Seo Jun-Young, You Da-In all taking part in the voice performance. "Barrier Free" versions feature descriptive audio and subtitles for people with hearing or visual impairments. Han Hyo-Joo provides the descriptive narration with Kim Dong-Wook, Seo Jun-Young, You Da-In providing voice dubs. 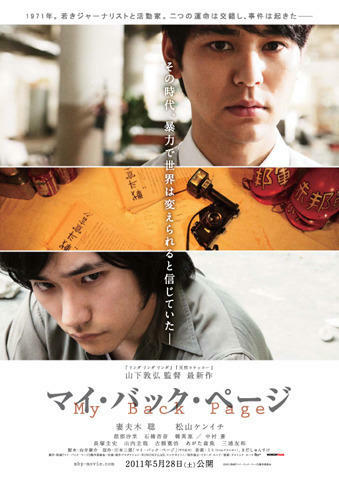 Movie is released in South Korea on March 15, 2012. Q&A for "My Back Page" took place after a screening of the movie at the 2011 Busan International Film Festival on October 9, 2011. Appearing as speakers are actor Satoshi Tsumabuki & director Nobuhiro Yamashita. AsianWiki editor Ki Mun was there and transcribed/translated the session. Satoshi Tsumabuki - (spoken in Korean) Hello. I am Satoshi. Nobuhiro Yamashita - (spoken in Korean) Hello. (spoken in Japanese) I am director Nobuhiro Yamashita. Thank you for watching a long and heavy movie. Satoshi Tsumabuki - This year is my third time attending the Busan International Film Festival. Last year I came to BIFF for movie "Villain" and this year for "My Back Page." I am so happy that I am able to come to Busan again. BIFF is the first foreign film festival for me so the festival holds special meaning to me. I will work hard to be able to come next year as well. Audience Question - I am a big fan of Satoshi Tsumabuki. I think your character in "My Back Page" is quite different than your previous characters. I wonder what parts did you focus on as a actor? I was also really impressed with the last scene. While acting for that what did you focus on? 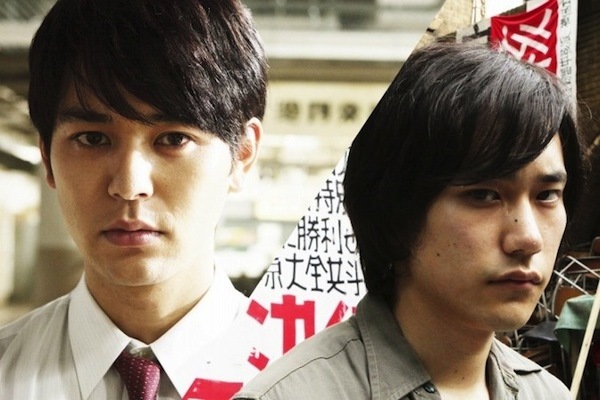 Satoshi Tsumabuki - In the movie I play a newspaper reporter. I did not live in the 1960's and 1970's. The director did not live in the 1960's and 1970's either. I studied and thought a lot about the differences between then and now. I concluded a big difference was the passion. To have that kind of passion it is also important to have determination, especially as a journalist. I focused on that area. The final scene. Actually, that scene was not originally intended to be the final scene in the movie. That scene was originally scripted somewhere in the early portions of the film. Then during the filming Nobuhiro Yamashita wanted to put that scene as the final scene. Nobuhiro Yamashita and screenwriter Kosuke Mukai discussed that possibility and decided to make it the final scene. Before we shot that final scene, Nobuhiro Yamashita came to my car and told me "need something." I didn't understand what he meant exactly, but I did feel what he felt. I was able to express Sawada's emotions and how he accepted the situation. That scene became the most memorable for me. It was one long take and Nobuhiro Yamashita didn't call out "cut." Audience Question - I am Japanese. Last year I watched "Villain" and this year I watched your movie "Smuggler". These characters are quite different. I would like to know how you pick your roles? 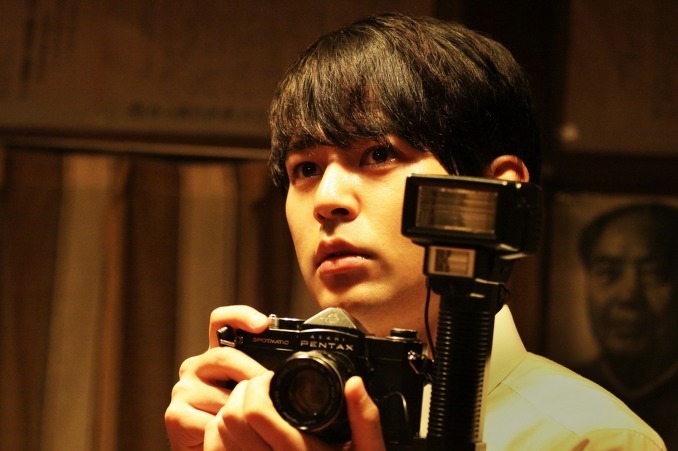 Satoshi Tsumabuki - I wanted to work with Nobuhiro Yamashita, who directed such films as "Linda Linda Linda" and "A Gentle Breeze in the Village," so I kept sending out love calls to Nobuhiro Yamashita. Finally, my wish came true. With "My Back Page," I was able to work with Nobuhiro Yamashita. I also wanted to work with director Katsuhito Ishii and that wish came true as well in "Smuggler." I think nowadays, I pick a director who I would like to work with. When Nobuhiro Yamashita and Katsuhito Ishii asked me to work with them, even before knowing what the movies are about, I said yes. "Smuggler" is also invited to the BIFF this year. Please go see that movie as well. Audience Question - I was touched by an actress in the middle of the movie. She mentioned something about Midnight Cowboy and crying men. What was the connection between the two? Also, the importance of that female character? Nobuhiro Yamashita - I will answer the second question first. About the female high school character, she is based on a real person, a 23-year-old actress. It's not certain whether she killed herself or not, but she jumped to her death onto the tracks. She left words behind about Midnight Cowboy and liking crying men. When we wrote the scenario, myself and writer Kosuke Mukai were inspired about her words for crying men. It became a key word. I thought a man able to cry was important while writing the script, but while shooting the movie I found myself obsessing over whether our character can cry or can't cry. I felt something wasn't right. 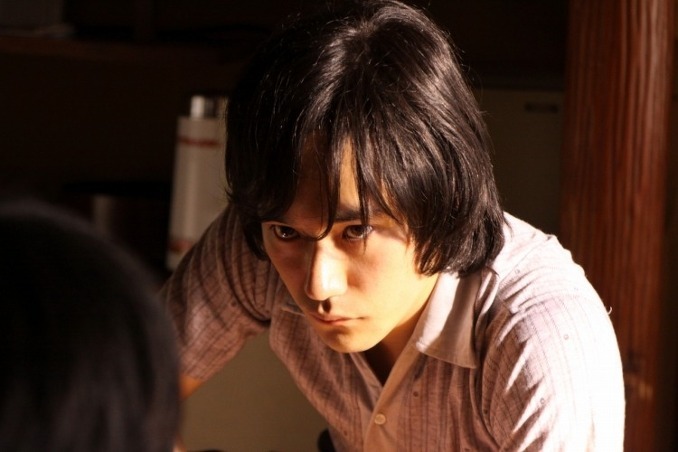 When we shot the last scene, I stated that I will leave it up to Satoshi Tsumabuki. I told Satoshi Tsumabuki that I wanted to shoot a man's face, feeling freedom or some complicated emotions and that it was okay if you cry or not cry. I think young men are not able to cry, but as they get older and have more experience they can cry quite naturally. I made the movie with that viewpoint. Audience Question - Question is for Nobuhiro Yamashita. The actor (Hiroshi Yamamoto) who played the main character in your movie "No One's Ark" seems to appear in your movies' a lot. I would like to know if he is your persona? Nobuhiro Yamashita - Yes, he is like my persona. We worked together in three of my films, but we wanted to do something different this time. He has worked in many films. He also appeared in "My Back Page." In this move he plays the guy that got killed in the bathroom in the fake situation. He is doing well. Audience Question - Question for Nobuhiro Yamashita. I think you use counterculture music in your movies like "Linda Linda Linda" and "My Back Page". In the movie "Linda Linda Linda" with The Blue Hearts and in "My Back Page" with Bob Dylan. Were there something specific you wanted to express with these artists and songs? Nobuhiro Yamashita - I did not pay attention to counterculture status or the musicians' backgrounds. With The Blue Hearts I thought the energy from their music was the right choice for "Linda Linda Linda." With Bob Dylan, honestly, I didn't know his music very well, but I was touched by his lyrics "Ah, but I was so much older then I’m younger than that now." I thought those lyrics matched and connected with the movie a lot. Leoma Jun 10 2016 9:56 pm Technology has even made it achievable to put pictures to cloth. Since whatsoever societies eff a whimsy of attractive body fix for men as humorous, most of the labels are now giving them in the cast of hold boxers, pattern deteriorate, and embody weary, so that men consider rich while buying them. My best advise is to make a couple of blocks and decide for yourself. Beneva Jul 15 2011 1:55 pm Breathless!!! Satoshi and kenichi....like a dream come true....love it! Riisa Feb 26 2011 12:41 am Kenichi and Satoshi!!! OMG!!! haha Nov 14 2010 1:17 am omg. i couldn't recognize kenichi and satoshi. they look like old men!